The cruise industry has spent over $30 million in the last decade to influence lawmakers in Washington, particularly in fiscal and environmental matters. And high-ranking FBI and Coast Guard agents frequently ended up working for the industry they started out investigating. The cruise industry spent over $30 million in the last decade to influence lawmakers in Washington, particularly in fiscal and environmental matters. And high-ranking FBI and Coast Guard agents frequently ended up working for the industry they started out investigating. They call it the Gala Dinner Extravaganza. Once a year, entrepreneurs, public managers and politicians meet with cruise industry leaders in Florida. One shipping company executive is present at every table; the higher their rank and more powerful their company, the more expensive it is to dine with them. It’s an opportunity to talk about public investment, business projects and money. The relationship between cruise companies and public representatives in the United States is at least three decades old. The industry has focused on Congress and on those federal agencies with direct influence on its business, such as the United States Coast Guard (USCG), the Federal Bureau of Investigation (FBI) and the Agency for Environmental Protection (EPA). 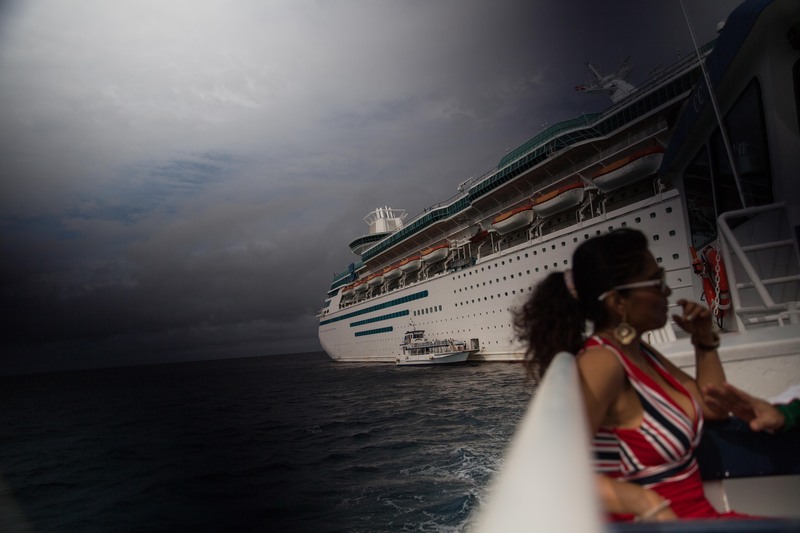 In the last decade, the cruise business allocated more than 31 million dollars in lobbying to influence federal institutions, according to Open Secrets data from 2006 to 2015. Though it was ultimately defeated, her proposal did move forward. As it made its way through the legislative process, employees in the cruise industry made their largest financial donations ever to political campaigns, and several million dollars were spent on lobbying in the U.S. capital. “They have a really strong lobby operation,” said Rep. Matsui, who presented a draft bill to tighten security onboard. The cruise industry has hired several Washington professionals who made their careers within federal agencies like the Coast Guard and the FBI, with direct responsibility on issues of security, crime and environment on cruises. Charles “Bud” Darr, a former U.S. Coast Guard officer, is now the Vice President for Technical and Regulatory Affairs of the Cruise Lines International Association (CLIA), the entity that lobbies on behalf of most of the world’s cruise lines. Gary M. Bald retired as Deputy Director of the FBI’s National Security Branch on June 2, 2006. Three days later, he started working for Royal Caribbean. “I have exactly the skills that are useful for boat owners who want to obey the law … and understand how it can better fit within the international maritime community, which is very complex,” Darr told Univision. Darr worked more than two decades in the public sector. During his last seven years in the Coast Guard he was director of Legal Affairs, focusing on maritime and international law. Those are the same subjects he now handles for CLIA, in this case to help the companies within the sector. Now he functions as a “liaison between the United States Government, international governments, diplomatic officials and the cruise industry,” according to his description on the association’s website. During his last year in the Coast Guard, in 2010, his declared annual income was $144,385, according to Feds Data Center. In CLIA, his base salary plus benefits amounts to $249,502 a year, according to the most recent data reported by the entity in 2014 and sent to Univision. Ostebo worked for nearly four decades at the US Coast Guard, where he served as Rear Admiral in Alaska, the North Pacific and the Arctic. His functions in Alaska had been, precisely, “to enforce federal laws and treaties, preserve marine resources and promote national security,” according to the institution. Alaska is the fifth market for the U.S. cruise industry. During his last stint at the USCG he earned a salary of more than $200,000, judging by official wage tables. In 2013 the Association gave then President Christine Duffy an annual base wage of $683,234, which exceeded $1.2 million when including benefits. However, Thomas P. Ostebo left office within five weeks. “While it is sad that Tom is leaving CLIA, his desire to put his family first is a test of his character,” the organization said in a statement. Ostebo declined to speak with Univision. The FBI may also have revolving doors into the cruise industry. On June 2, 2006, Gary M. Bald retired as Deputy Director of the FBI’s National Security Branch after 29 years at the federal safety agency, according to an official announcement. Three days later, he started working for Royal Caribbean. On September 25, 2015, after nearly a decade, Royal Caribbean announced Bald’s replacement: Jennifer Love also had a 25-year career in the FBI, “where she gained extensive experience and several awards for her exemplary leadership both in national security and the prosecution of financial crimes,” the company said. The cruise business allocated more than $31 million in lobbying to influence federal institutions, according to Open Secrets data from 2006 to 2015. It is a small portion of the more than $2 billion the transportation industry spent on lobbying. These figures exclude the pressure at the state level, where CLIA alone hired, in the last decade, 45 lobbyists especially focused on Florida and California, according to the nonpartisan National Institute on Money in State Politics. During that period, CLIA spent $16.2 million in Washington. In 2014, it had a dozen lobbyists, six of whom had worked in the public sector at some point in their careers. A dozen professional lobbyists work in-house for the two giants of the cruise industry. 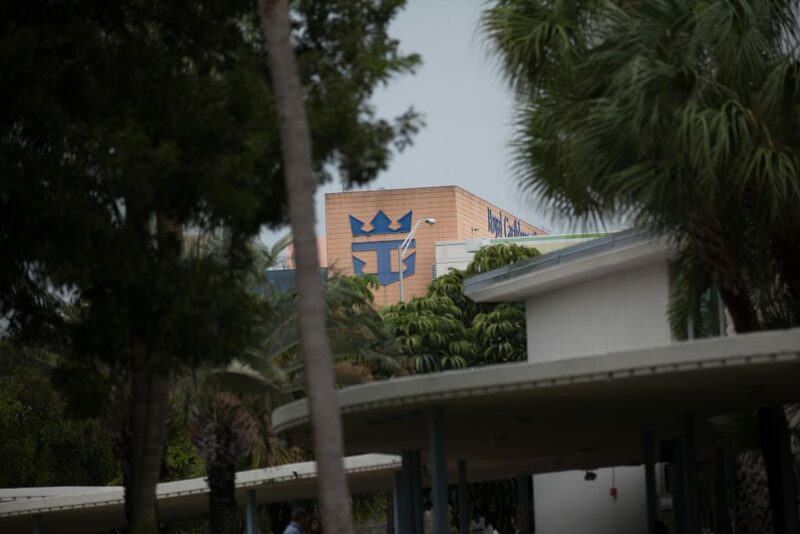 Royal Caribbean ($8.71 million) exceeds Carnival ($6.45 million) in spending. Lobbying reports detected some areas in which the industry invests more insistently: taxes, environment and other maritime regulations. Over the last decade, shipping companies lobbied the Coast Guard and the Agency for Environmental Protection (EPA) most heavily. The Coast Guard checks navigation security, inspects foreign-flagged vessels in the United States, and pursues certain marine pollution issues. Together, the agencies enforce the Clean Water Act, a law that regulates wastewater discharge into the sea. Sam Farr, Democratic Rep. from California in Congress, has complained repeatedly of insufficient environmental regulations for cruise ships. On five separate occasions he presented the Clean Cruise Ship Act draft bill to improve them. “I introduced the proposed bill in three legislative sessions. It was never heard by the Committee because the cruise industry lobbyists would kill it,” he told Univision. Farr presented the proposed bill for the last time in 2009. He still thinks it’s necessary to toughen environmental regulations for cruise ships, but he doesn’t plan to present the bill again. 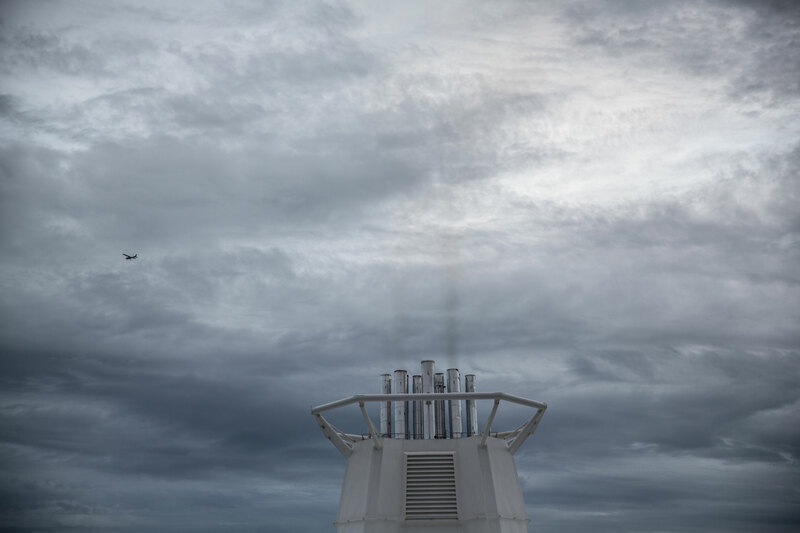 The major cruise companies are exempt from paying taxes on profits at the federal level in the United States, a country with a standard burden of 35 percent on the corporate benefits. They do not evade taxes, do not violate laws, but they have mastered the intricacies of the laws. When companies justify in their corporate reports why they pay such low taxes, they often use an almost identical argument: Section 883 of the tax code exempts non-American firms engaged in maritime transport from paying taxes on benefits. Major cruise companies have their headquarters in the United States, are traded on the New York Stock Exchange, but are legally established abroad. Carnival is, in fact, a Panama-based company; Royal Caribbean is in Liberia, and Norwegian in Bermuda. The three countries are tax havens, according to the Organization for Economic Co-operation and Development (OECD). None of these countries charge taxes on business profits. A decade ago, three accounting professors from the Universities of Michigan and North Carolina wanted to know how much large U.S. corporations actually paid in taxes. “Among the largest corporations, Carnival is clearly the leader in long-run tax avoidance, with a ten-year cash effective tax rate of 0.7 percent,” they concluded. That level of circumvention (not of evasion, as that would be illegal) is even lower today. The leading cruise company pays less than 0.3 percent of its income to public coffers in the countries where it operates. None of the three leading cruise companies responded to multiple Univision requests for detailed interviews and comments for this story. 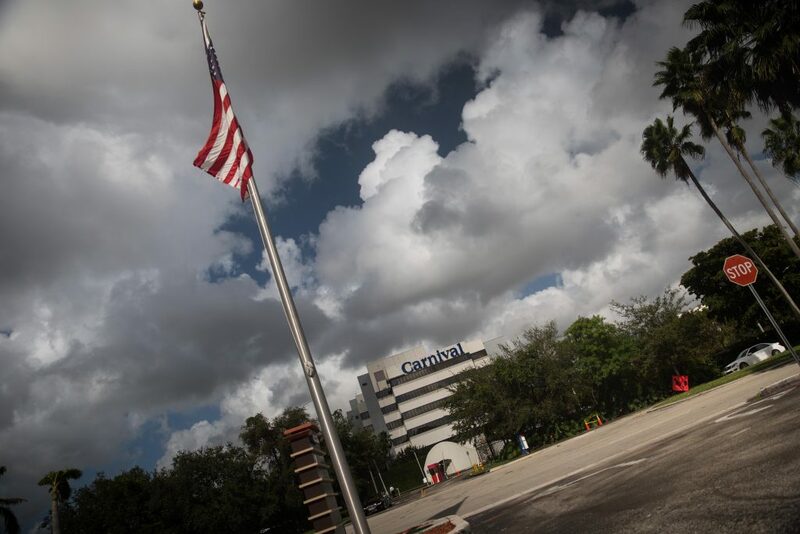 Univision was able to talk briefly to two senior executives from Carnival Cruise Line, including CEO Arnold W. Donald, during an event at the Port of Miami in May, but they declined to sit down for longer interviews. Between 2011 and 2015, Carnival reports show a total of $46 million paid in taxes by the Corporation. Another $2,455 million appear in fees, taxes and charges for different public institutions in the countries where the company operates. In those cases, passengers pay taxes with their cruise ticket purchase. In 2006, Alaska voted on a proposal to increase taxes on cruise ships, including a charge of $46 per passenger per trip. According to the National Institute on Money in State Politics, supporters of the tax raised $8,497 to fund the campaign in favor of a “more responsible” cruise presence in Alaska. 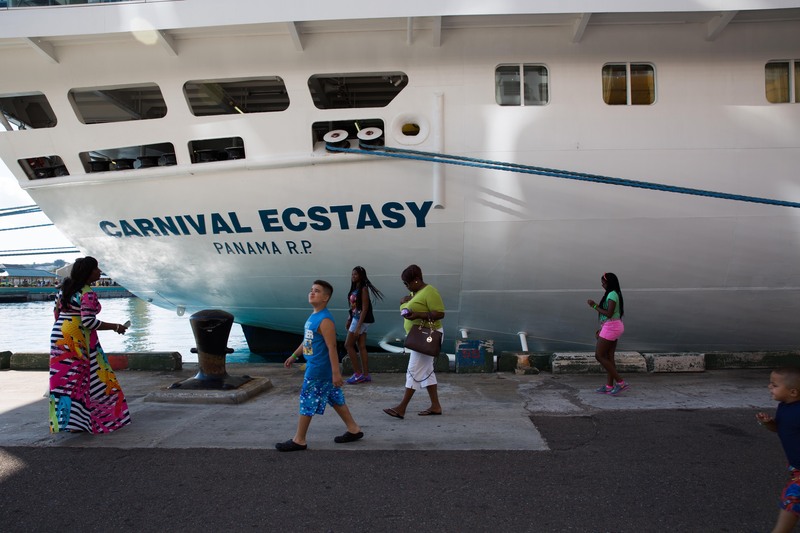 The opposition mobilized $1.36 million, most of which came from the cruise industry. Despite such an asymmetric fundraising, “Yes” won by a narrow 52 percent of the vote. In 2009, a high-ranking Carnival executive threatened to file a lawsuit against the measure and warned that cruise lines would move their activity to more lucrative parts of the coast. Finally, the situation was resolved politically: Alaska approved and adopted a law that lowered the rate to $15. Since 1990, cruise industry employees have donated more than 5 million dollars to federal political campaigns, a sum which is evenly split between Democrats and Republicans. In recent months, the flow of money from the industry has intensified. Since the start of the 2015-2016 election cycle, the sector has spent $1.3 million. More than one-third, about $500,000, was a donation from Carnival’s President Micky Arison and his wife Madeline. Companies can’t donate directly to candidates, but their executives and workers can give limited amounts. 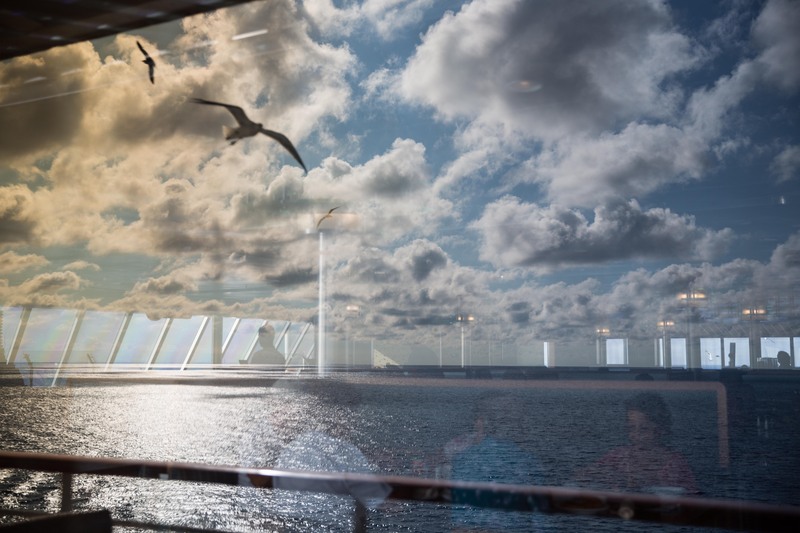 Funding data shows that cruise employees spent much of the money in states that are key for the industry: Hawaii, Florida, Virginia, California, Washington and Louisiana. Giulia Paravicini contributed to this story. Correction: An earlier version of this story stated that CLIA did not provide Univision with their latest financial report. However, on March 9, 2016, CLIA sent their most recent report, which was from 2014. Project: Univision Noticias and Columbia Journalism School. Columbia University: Giannina Segnini, Giulia Paravicini, Denise Hassanzade Ajiri, Ana Graciela Mendez, Jacqueline Medbury Williams and Asaf Shalev. Texts: Ronny Rojas, Maye Primera, Patricia Clarembaux, Damià S. Bonmatí and Alejandra Vargas. Video: Almudena Toral, Ricardo Weibezahn and Nacho Corbella. Infographics: Mariano Zafra, Alberto Cairo, Luis Melgar and Javier Figueroa. Photography: Almudena Toral and Damià S. Bonmatí. Director, Digital Special Projects: José Fernando López. Text Edition: Tamoa Calzadilla, Alejandro Fernández Sanabria and José Luis López. Translation and proofreading of texts in English: David Adams, Rachel Glickhouse and Melvin Félix. Digital Creative Direction: Sandra Merino. Digital Product Direction: Sofía Buendia. All rights reserved © 2015 Univision Communications Inc.